Three weeks ago I wrote about LCFR’s ‘excavator’ investment strategy, which is essentially about finding companies with products which improve productivity and are able to be sold internationally. 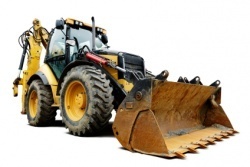 There was an article recently in Stockopedia which provides a very readable analysis of how economies function over the long term and draws conclusions which endorse the ‘excavator’ investment strategy. c) commercialise the solution to create shareholder value. Such companies are 'Game Changing' within their selected sectors. However, in my experience, investors need to be capable of exercising considerable patience in order to fully realise the returns which such companies can provide. An example is Elektron (LON:EKT) (in which I have a shareholding) which reported its interims last week. In 2001 I met an engineer who was in the final stages of completing a programme of grooming and selling non-core subsidiaries for Spirent – he was considering looking for another large company for which to carry out similar work – I suggested the alternative of looking for a bombed out AIM company containing a commercial nugget. The upshot was that he was appointed executive chairman of Elektron in early 2003, when the share price and market cap were 2p (vs. 32p currently) and £1 million (vs. £34 million currently). What initially interested me about Elektron was its subsidiary Bulgin Components which had been trading for c.70 years and had a very good reputation amongst engineers for supplying innovative connectors, with a particular reputation for cost effective products for harsh conditions – this positioning enabled it to achieve high margins and sell internationally. This note was prepared by LCF Research Limited using information provided by the subject company’s management or publically available news sources. No representations are made nor warranties given (express or implied) in relation to accuracy and completeness. This document is not an invitation to invest in the subject company and does not purport to contain all the necessary information that a prospective investor might require. LCF Research Limited recommends prospective investors to conduct their own thorough independent analysis of the subject company and the information contained in this note or referred to above.